Do you have a favorite recipe that you bring to potlucks? That one special dish that everyone always wants the recipe for? This Greek Potato Salad could be that recipe for you! It’s large enough to bring to a potluck party and it’s a great side dish for any BBQ meal. 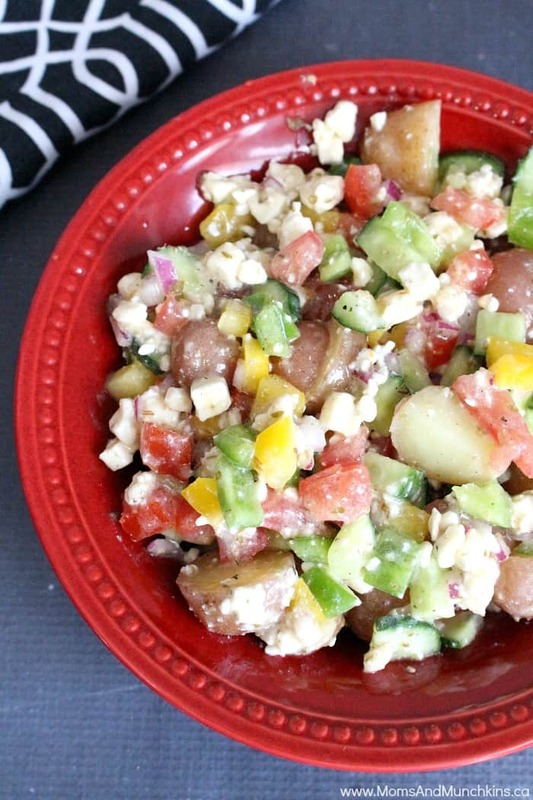 If you love Greek salad, you’re going to love this potato salad version. It’s loaded with healthy vegetables like potatoes, bell peppers, tomatoes, cucumber, onions and more. Did I mention that it has feta? Everything tastes better with feta on it! This recipe makes a large bowl of Greek Potato Salad so you’re going to want a crowd to share it with. It tastes great as leftovers the next day too but I wouldn’t leave leftovers more than 24 hours before finishing it. In a large pot, boil potatoes just until softened. Remove from heat and allow to cool completely. Toss potatoes with remaining ingredients and serve immediately. Cover leftovers and refrigerate up to 24 hours. 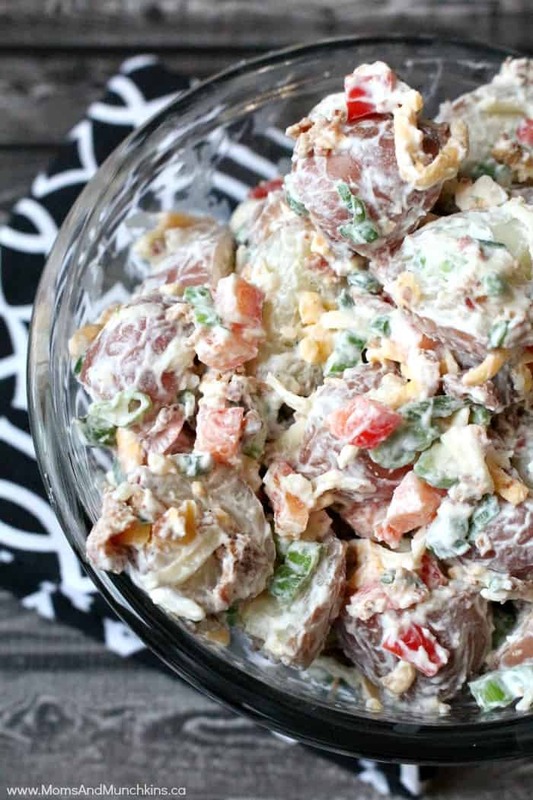 For another delicious potato salad recipe, check out this Loaded Potato Salad! It has everything you love about a loaded baked potato in a potato salad version – sour cream, cheese, bacon bits and green onions. 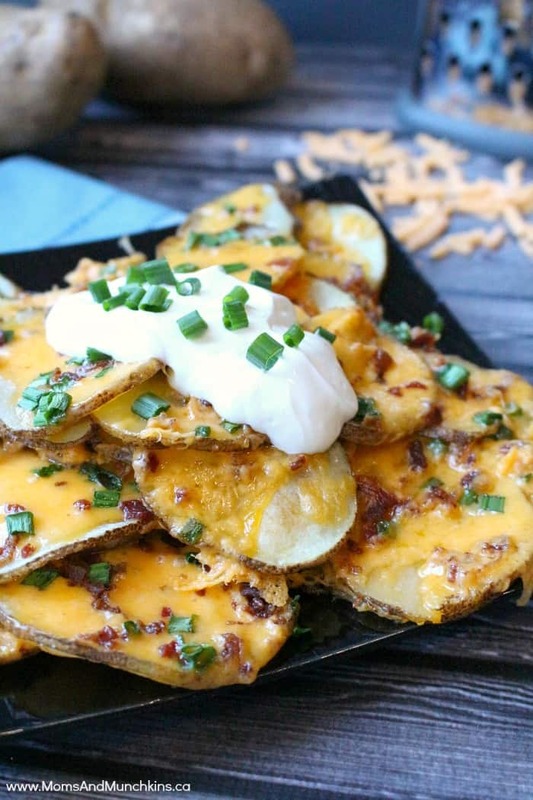 For something totally unique and so delicious – check out these Loaded Baked Potato Nachos! These are a favorite around here and perfect for a party. You’ll need extra napkins but it’s worth every messy bite!